To celebrate the start of 2019, we looked back on how clients used our Library spaces and services in 2018. 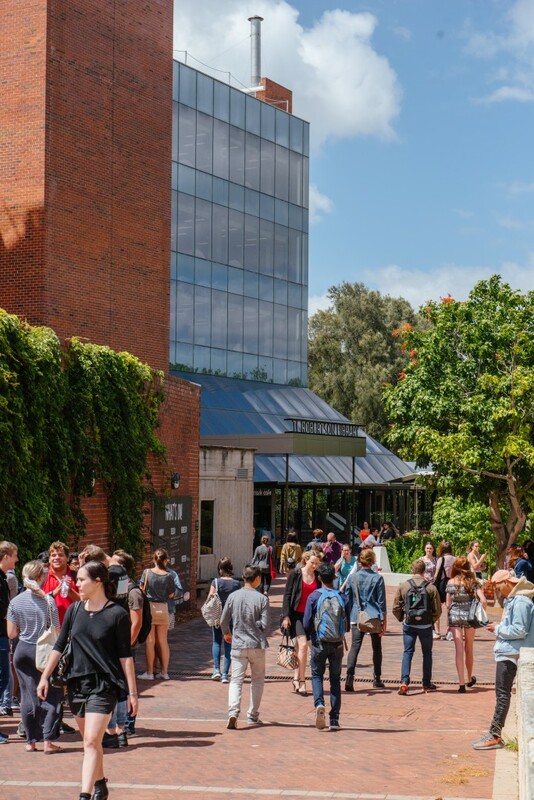 In 2018 there were over 2 million in person visits to Curtin Libraries. 1.9 million visits were at Robertson Library, 22,000 visits were to Kalgoorlie Library and over 5600 visits were to Curtin Graduate School of Business Library. The busiest day in 2018 at Robertson Library was Tuesday 13 March with 15,306 visits. Students from Business and Law, Science and Engineering, and Health Sciences faculties were the most likely to use Robertson Library overnight, an indication that our 24/7 opening hours during semester have continued to be popular with a wide range of disciplines. Library study spaces were well-used throughout 2018, with high use of group study facilities and study carrels – especially the new powered carrels. There were 14,392 group study room bookings across the year at Robertson Library, with May and October being the most popular months for bookings. The Robertson Library Makerspace continued its success in 2018 with over 4,300 people using the space during semester time. In semester two the Makerspace facilitated over 90 activities with more than 1600 people participating. Our virtual library continues to be the primary way that staff and students access our information resources, with over 5 million catalogue searches and 4.8 million downloads of online resources, compared with 70,000 physical book loans. Library staff answered over 60,000 queries in 2018, in person, over the phone, and online. Queries were most often presented at Library help desks, closely followed by queries to our Library Student Assistants who patrol Library spaces. During orientation and early weeks of each semester in 2018 we offered more than 100 tours, with over 1600 people participating. Over 30 demonstrations of how to access the virtual library and catalogue were held, with 500 people attending. The Library led a range of workshops and classes in 2018. Workshops ranged in topic and audience; from referencing, searching, academic writing, and study skills through to copyright, research data management, statistical analysis, and research writing. More than 400 workshops were held, with over 9000 participants. New sessions for 2018 included ‘Shut Up & Write’ and ‘Thesis Bootcamp’, which aimed to help higher degree by research students write their thesis. 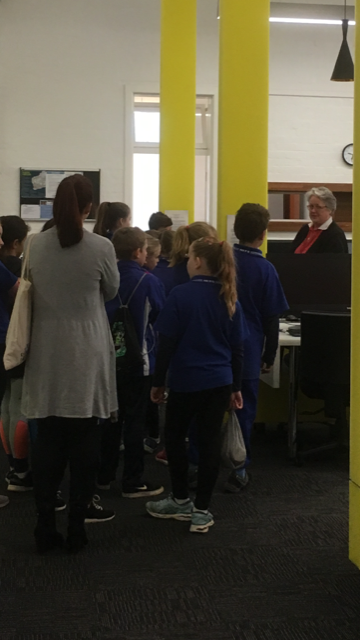 North Kalgoorlie Primary School students visit the Kalgoorlie Library. In 2018, Kalgoorlie Library hosted a number of prominent visitors, including academics from China University of Mining and Technology, Senator Matt Canavan, and Federal Minister for Education Dan Tehan. Representatives from mining companies Minjar Gold and the wholly Aboriginal owned Carey Mining Contracting Company also toured the Library. There were also several opportunities for primary and high school students to visit Kalgoorlie Library. In 2018 over 190 students from Clontaf Aboriginal College, Kent Street High School, South Kalgoorlie Primary School and North Kalgoorlie Primary School participated in activities organised in the Library. An important occasion for Kalgoorlie Library was welcoming the first intake of Indigenous Tertiary Enabling Course students in semester two 2018. The students were introduced to the Library early in their studies and made good use of the Library during semester. Enjoy reading Library news? Sign up to our Library newsletter.